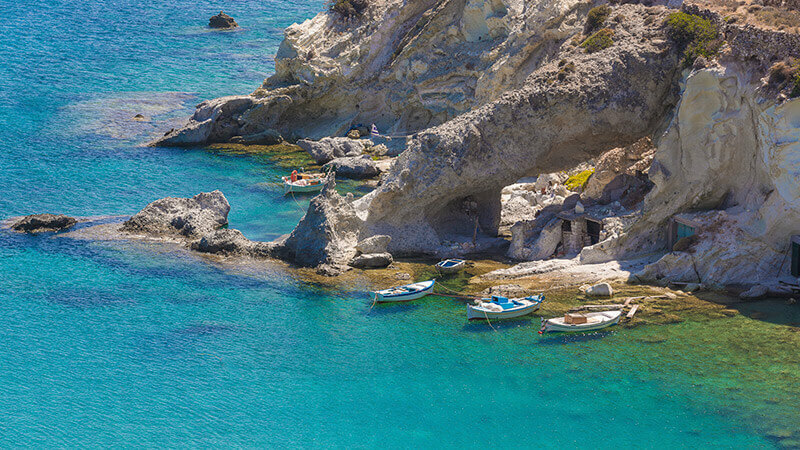 With a land area of a mere 37.5 km2 Kimolos offers an intensively diverse coastline of 45 km, which forms numerous capes and a leeward caves. You may explore a variety of beaches, from small, hard-to-reach to large, sandy and easily accessible ones. It is surrounded by uninhavited islands such as Agios Efstathios, Agios Georgios and Polyaigos. The latter is the biggest uninhabited island in the Mediterranean and all three can be visited by boat. The north part of the island has no road network, but can be visited by boat. The European Union Nature and Biodiversity Protected Areas Network (NATURA 2000) have included part of Kimolos as well as Polyaigos amongst the areas of particular natural beauty and endemic biodiversity. It is worth visiting the Archaeological and Folkloric Museums, the archaeological site of Kastro, as well as Skiadi, a unique geological monument in the NW part of Kimolos. There are also a number of beautiful churches and chapels scattered around the island. 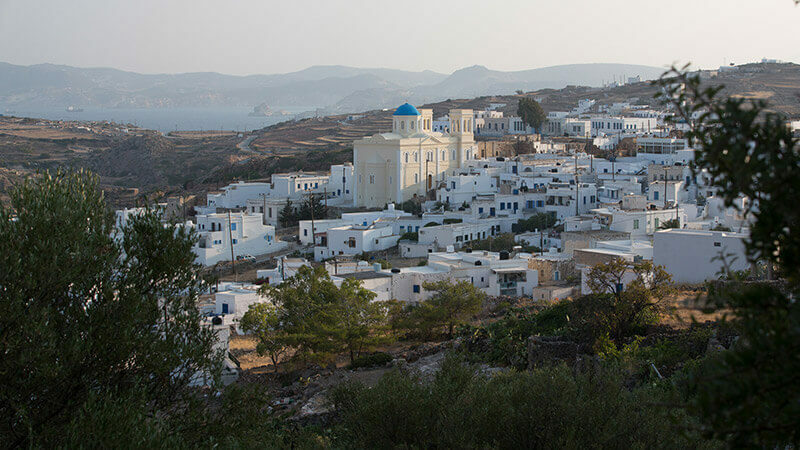 Wandering around the traditional white-washed cobbly alleys will give you the opportunity to admire the unsophisticated traditional Cycladic architecture which has remained untouched throughout the centuries. 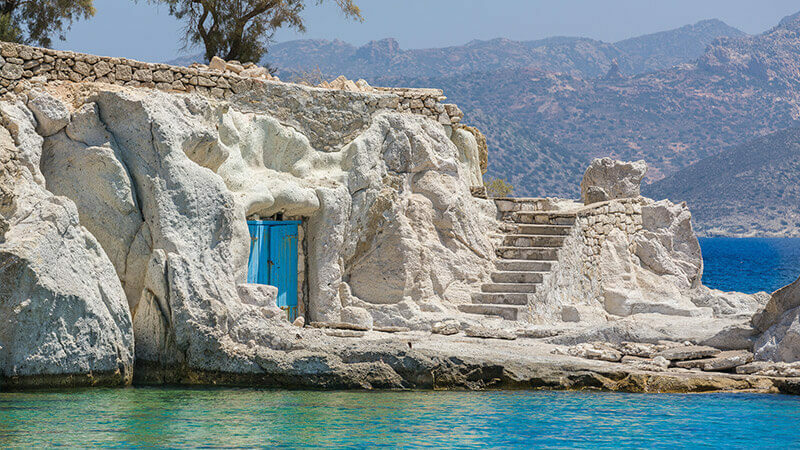 A tour of Kimolos and particularly that of Polyaigos by water taxi will prove extremely rewarding. 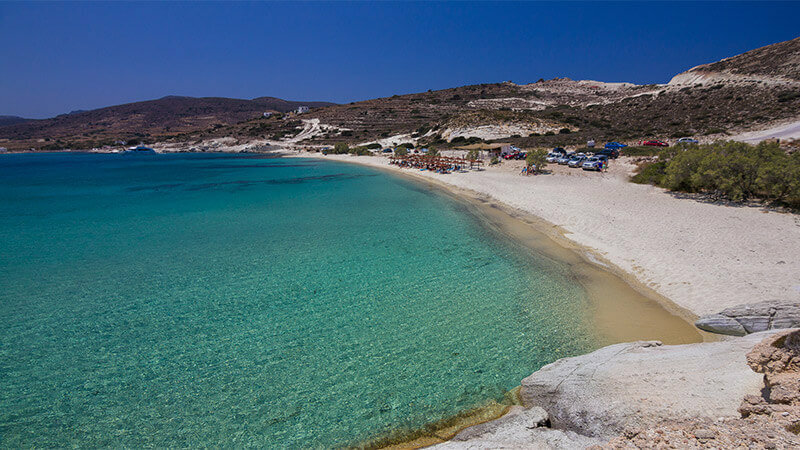 For those of you who are Greek cuisine enthusiasts, there are many places to choose from (in the village, Psathi and the various beaches), which will meet your every culinary requirement. Finally, a number of traditional coffee shops (Kafenia), cafés and bars in the village alleys surrounding the Venetian Castle as well as in Psathi wait to offer you moments of relaxation and pleasure.